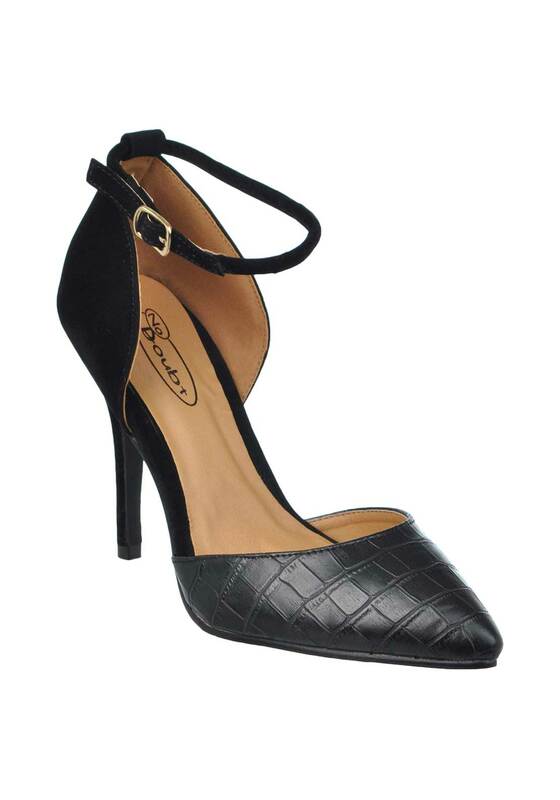 Take a walk on the wild side in these amazing reptile print pointed toe heels form No Doubt in black. Featuring butter soft velveteen fabric on the back, buckled ankle strap and stiletto heel. Stand tall in this perfect pair and strut your stuff. Material: Upper- Textile and Other Materials. Lining and Sock- Other Materials. Sole- Other Materials.